After the love theme from “Cleopatra,” what do you do for an encore? Ferrante & Teicher have come up with an answer by following with an assortment of romantic melodies steeped in an exotic orientation. It takes nothing away from “Cleopatra’s” musical excitement and it even manages to add luster to the already illustrious melody from the most widely talked about film of all time. But the way this notable piano team handles the whole repertoire, the other songs are sure to be talked about, too. 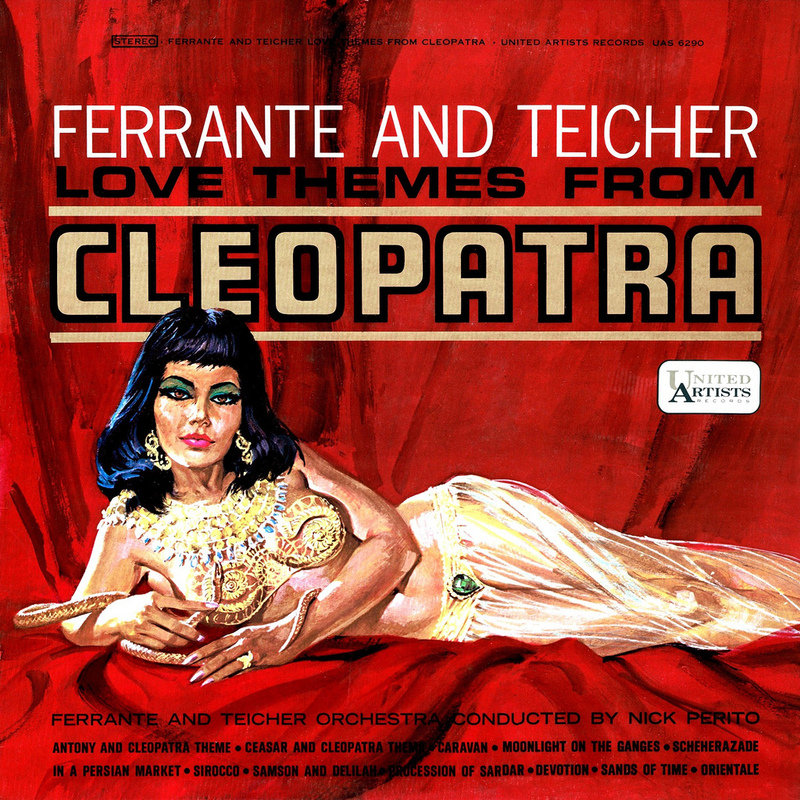 Ferrante & Teicher, like Cleopatra, need no introduction. Their work on the keyboard is as familiar as hers was on the barge. It’s also not too far-fetched to suggest that their lush and flavorsome orchestral arrangements would have made the perfect setting for her affairs with Antony and/or Caesar.